For the wines, I've picked mine up at Trader Joe's grocery store (my wine store of choice for price and variety)... but if you don't have one in your area, any wine you can get your hands on will do. It doesn't have to be a fancy, expensive one since it will be combined with fruit juices. 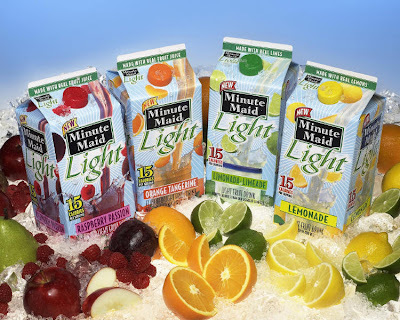 For the fruit juices, you can use your everyday fruit juice in the carton such as Dole's or Minute Maid. I prefer shopping at ethnic grocery stores where I can get fruit juices and nectars in a whole assortment of common and more 'exotic' flavors at a much better price. 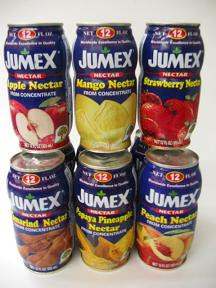 If given a choice between fruit juice or nectar, I would grab for the nectar because it's slightly thicker and sweeter. It blends nicely with the wine and will maintain it's fruit flavor even when you add ice cubes. Fruit juice is fine, but the fruit flavors may wash out if you dilute it with too many ice cubes. To create the mint simple syrup: In a saucepan, combine the water, sugar and fresh mint leaves. Let it come to a boil and then take off the heat to cool; set aside. Meanwhile, cut up the flesh of the watermelon into chunks and process in your blender. You will need to do this a little at a time, depending on how big your watermelon is. Once you've processed your watermelon, place it in a pitcher and allow it to cool completely or chill in your refrigerator. 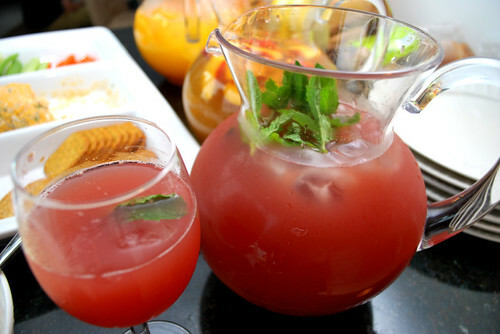 To assemble the sangria, strain the watermelon juice into a pitcher to remove any pulp. In your serving pitcher, combine equal parts of your wine and watermelon juice and add the cooled mint simple syrup to taste. Garnish with fresh mint leaves. This looks so light and refreshing! YUM! Sangria is one of my absolute favorites. I love all the flavor combinations you created this summer.